Ambition brings us 25761/01 SUNFLOWBAR. 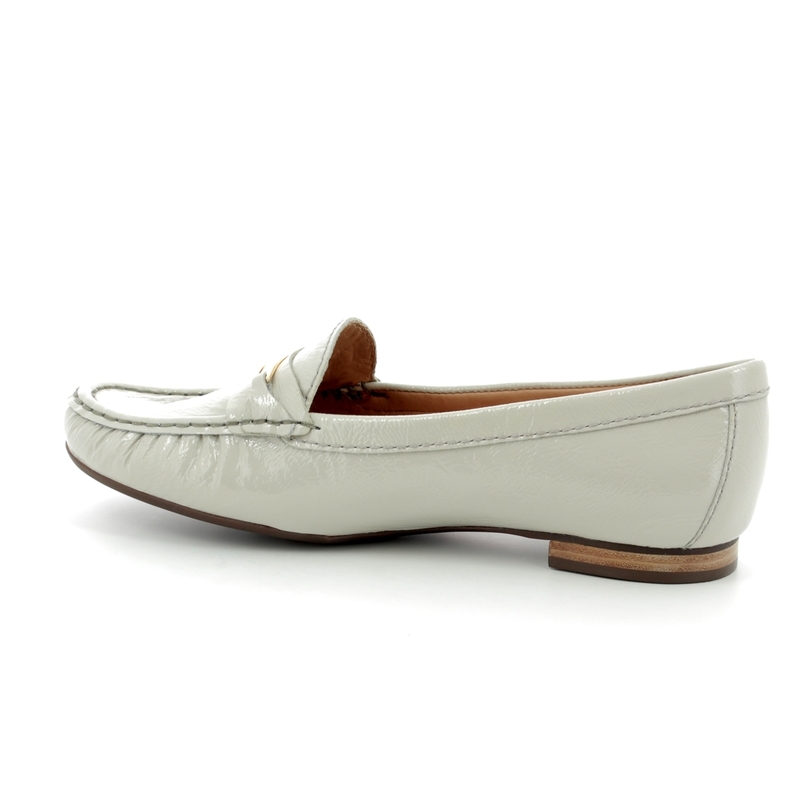 These light grey moccasins have a timeless style and would look elegant with trousers or a skirt. The upper is made from a patent leather and decorated with a metallic bar across the front. The shoe is lined with a smooth leather and there is a leather insole for comfort next to the skin. Leather is also beneficial because it allows the foot to breathe which creates a healthier environment for your foot and increases your comfort levels. The shoe is a classic moccasin design with the apron stitched to the gathered vamp to form a raised bar around the front, this type of construction allows the leather to mould to the shape of your foot for increased comfort. The sole is made from a manmade material with a stack heel measuring approximately 1 cm. Buy your Ambition women's moccasins from Begg Shoes, an official Ambition stockist.